Let's change things up a bit, shall we? 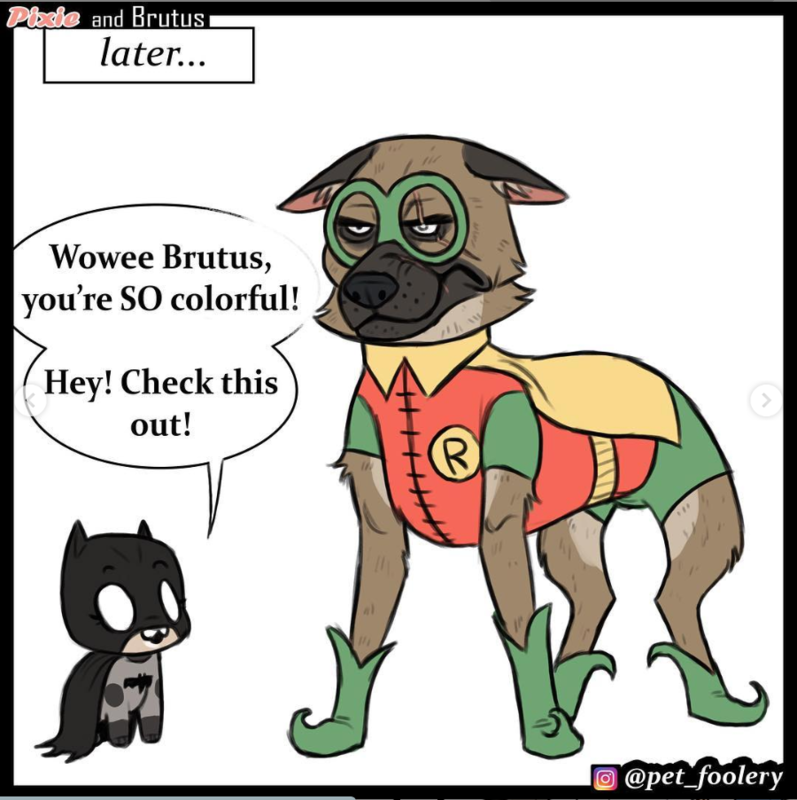 Let's discuss something cute and heartwarming, the ongoing chronicles of Pixie and Brutus, a comic series by instagram user Pet Foolery. It's not their only comic, but the Pixie and Brutus strips are easy to find. For those unaware, on instagram, you have to click the smaller white left and right arrows to turn a page. 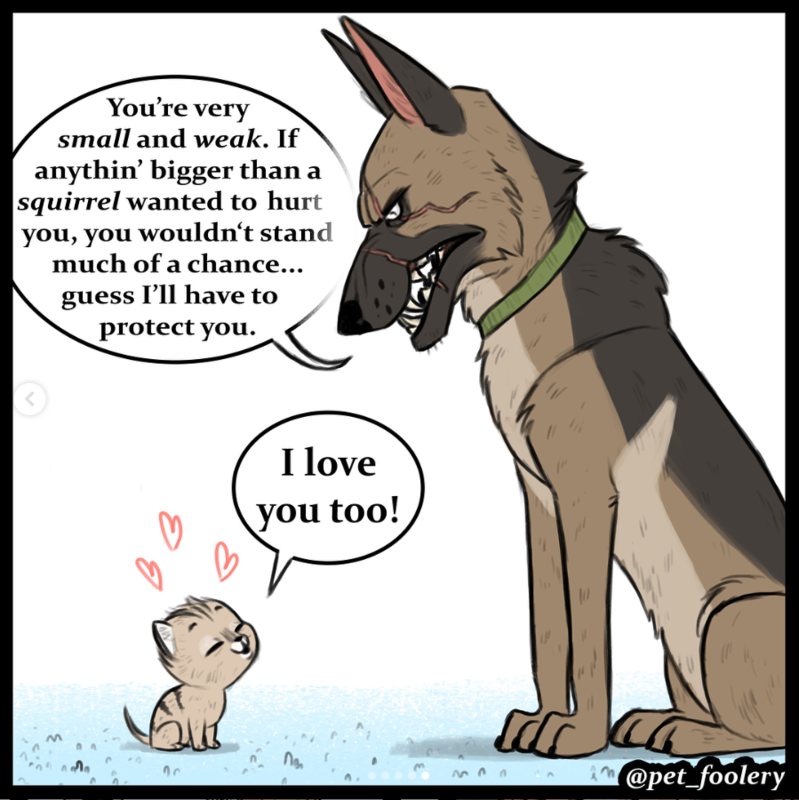 Anyway, I found this comic a while ago, and it's always a good read. Let's discuss it. 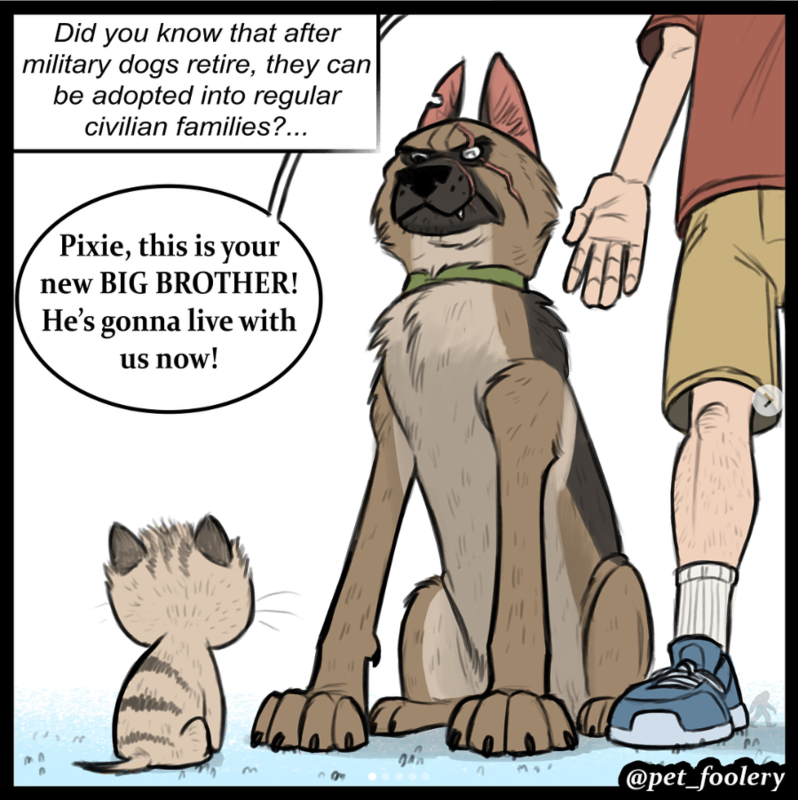 The premise appears to be based on the fact that retired military dogs can be adopted by regular citizens. So what shenanigans could a toughened war dog and a cute kitten get into? Lots. Brutus the dog is brought home to meet Pixie the kitten. He sizes Pixie up fairly quickly and decides it's his duty to look after the fluff ball. Pixie is always optimistic and just rolls with it. He means it too. Brutus gets a lay of the land and watches out for Pixie, from grumpy raccoons to murderous falcons. That bond between Pixie and Brutus is real though, not just out of old habits. If a Military Working Dog dresses up like this because a kitten wants to do "best friend costumes", that dog loves that kitten. 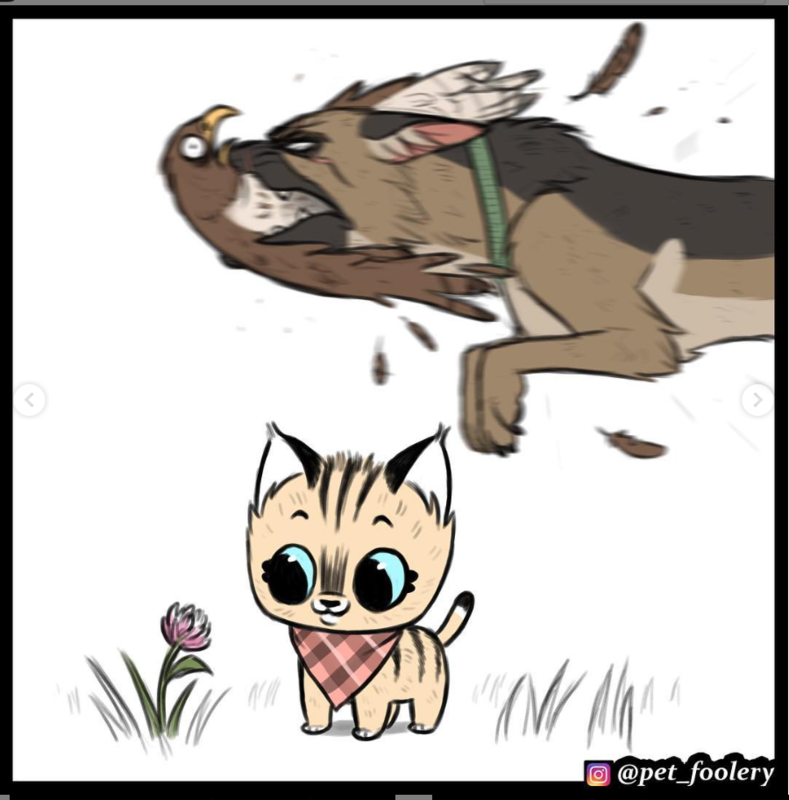 So go check out the comics on Pet Foolery's instagram page HERE, and let us know what you think in the comments below. The artist has a Patreon up, seen HERE, that offers extra Pixie and Brutus goodness for $1 a month.